Misty Morning Gate during sunrise at Estate Landgoed De Hamert part of De Maasduinen National Park (Wellerlooi, Noord-Limburg, Netherlands). 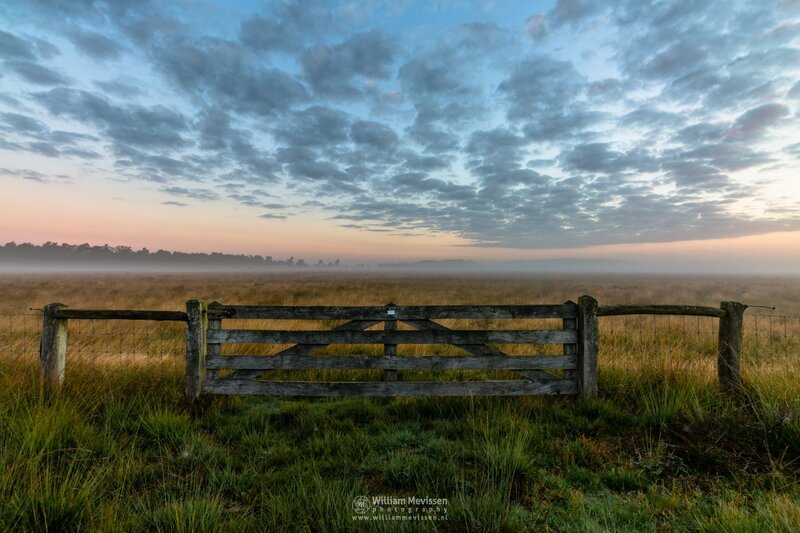 Click here for more information about photo 'Misty Morning Gate'. Click here for more information about 'Landgoed De Hamert'. 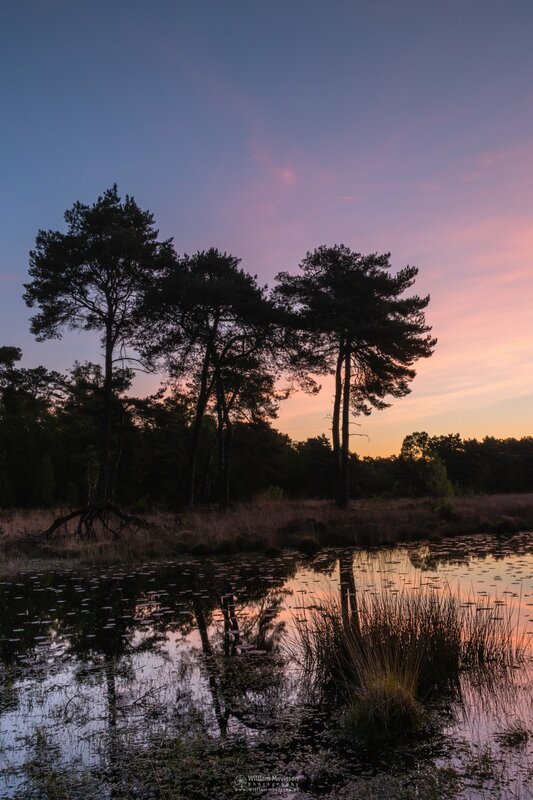 A cloudy twilight about 20 minutes before sunrise at nature reserve Bergerheide, part of National Park De Maasduinen (Nieuw Bergen, Netherlands). 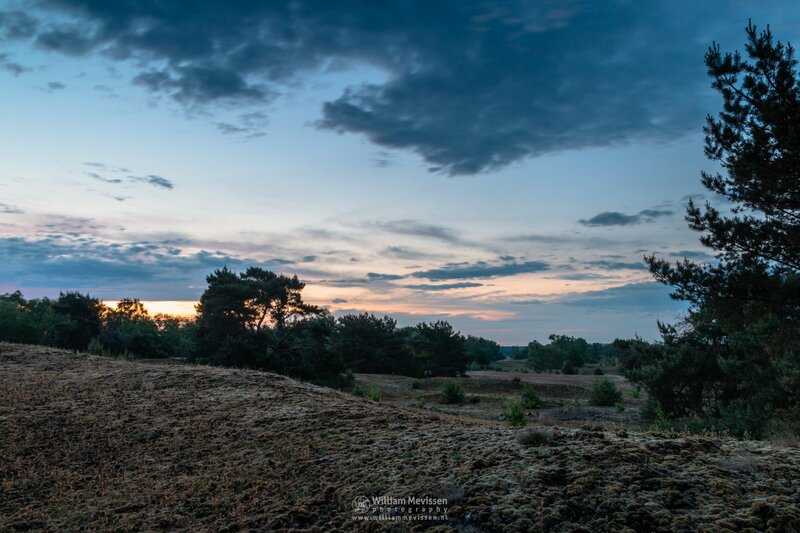 Click here for more information about photo 'Bergerheide Cloudy Twilight'. Click here for more information about 'Bergerheide'. A colorful twilight at the Ceresweg in-between the parkings of nature reserve Eendenmeer and Eckeltse Bergen, National Park De Maasduinen (Nieuw Bergen, Netherlands). 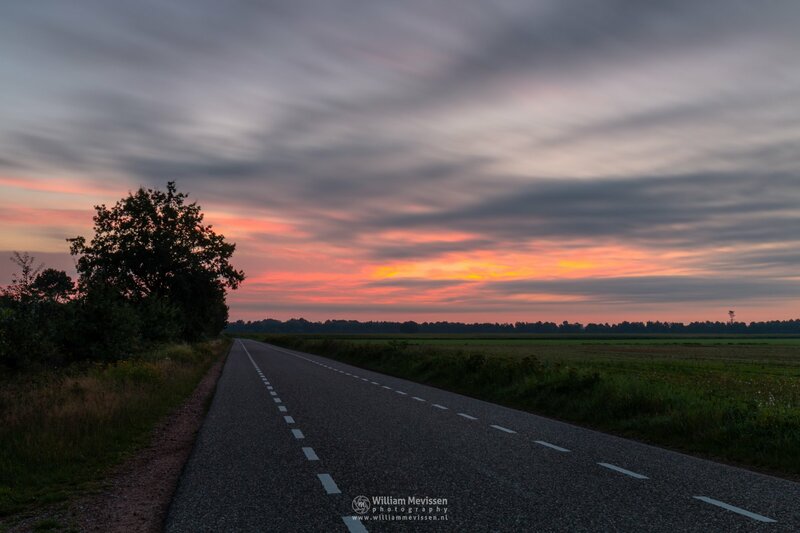 Click here for more information about photo 'Ceresweg Twilight'. Click here for more information about 'Eckeltse Bergen'. 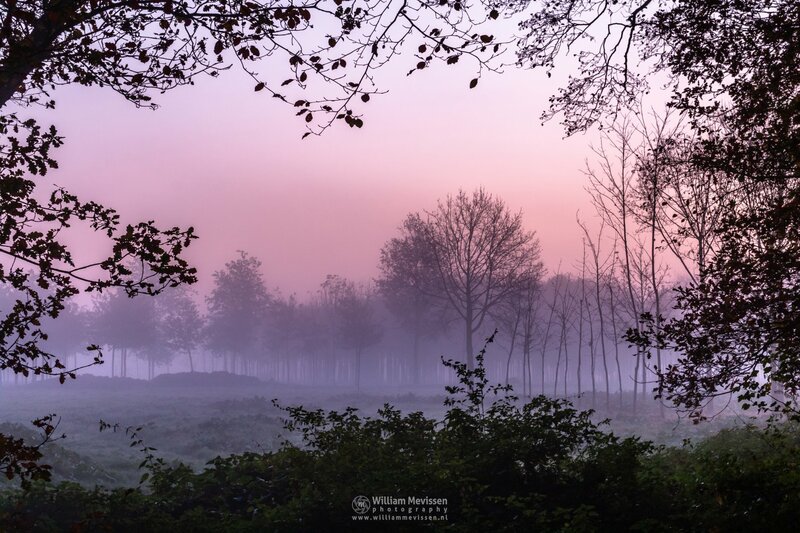 Twilight Trees minutes before sunrise at nature reserve Ravenvennen in Lomm, north of Venlo (Netherlands). Click here for more information about photo 'Twilight Trees'. Click here for more information about 'Ravenvennen'. 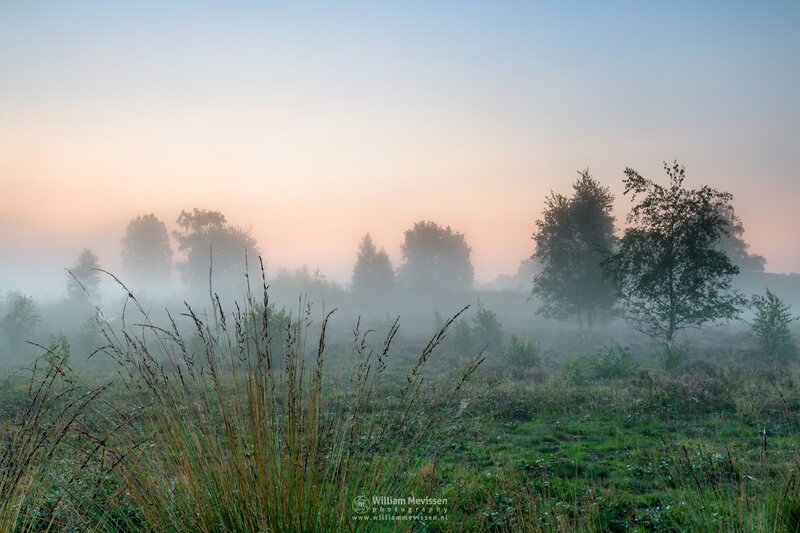 A beautiful and misty start of the day at nature reserve Ravenvennen in Lomm, north of Venlo (Netherlands). After parking the car and a short walk through the forest this was the first view over the Ravenvennen. 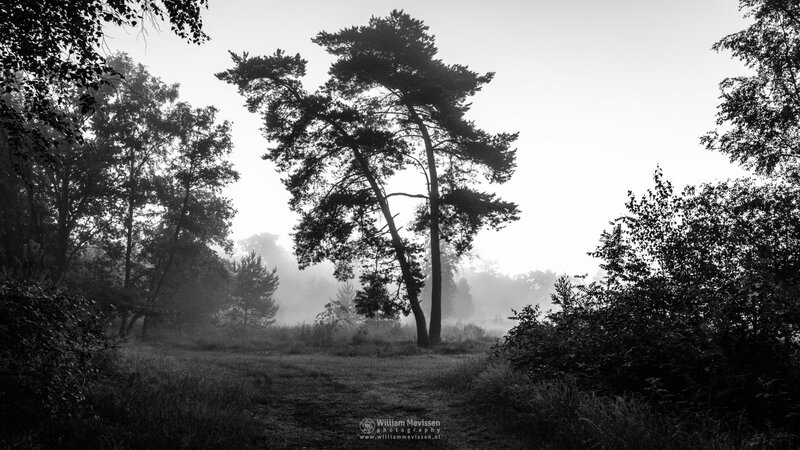 Click here for more information about photo 'Misty Silhouettes Ravenvennen'. This is a panorama of 2 single shots. Expand photo and move mouse or swipe to left or right. 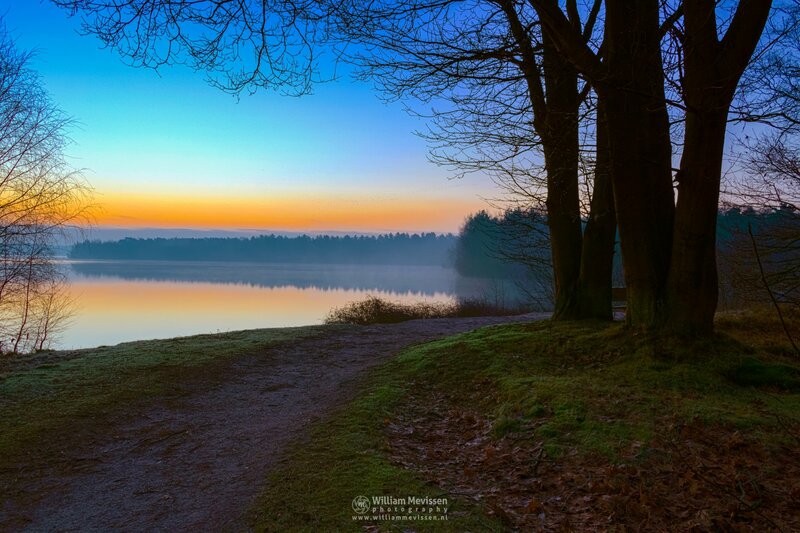 Blue Morning Sunrise at lake Reindersmeer, De Maasduinen National Park (Well, Netherlands). 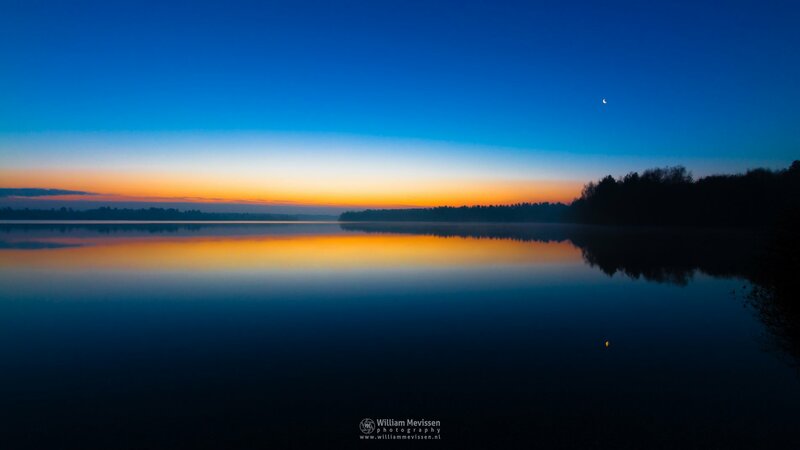 Click here for more information about photo 'Blue Morning Sunrise'. Click here for more information about 'Reindersmeer'. Sunrise View Tree at lake Reindersmeer, De Maasduinen National Park (Well, Netherlands). Click here for more information about photo 'Sunrise View - Tree'. 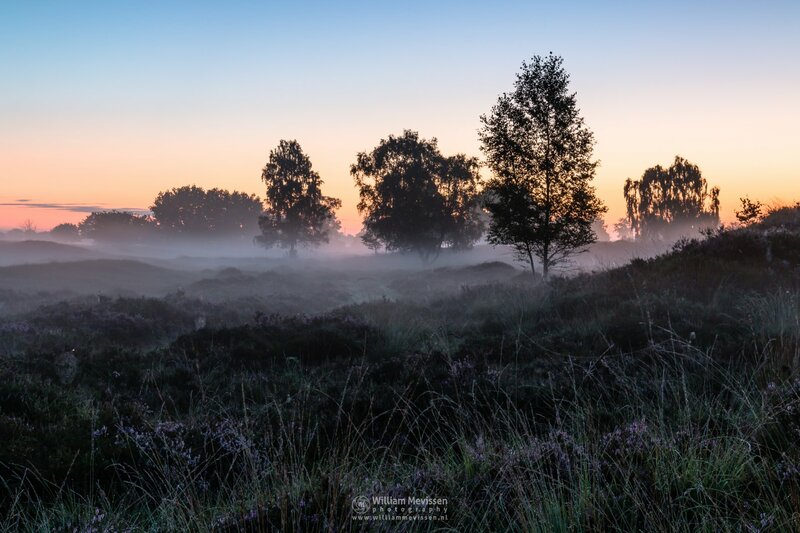 A misty start of the day - about 30 minutes before sunrise - at nature reserve Eckeltse Bergen, National Park De Maasduinen (Nieuw Bergen, Netherlands). Click here for more information about photo 'Misty Land'. A grey morning at the fen Lelieven at nature reserve Bergerheide, part of National Park De Maasduinen, Nieuw-Bergen (Netherlands). 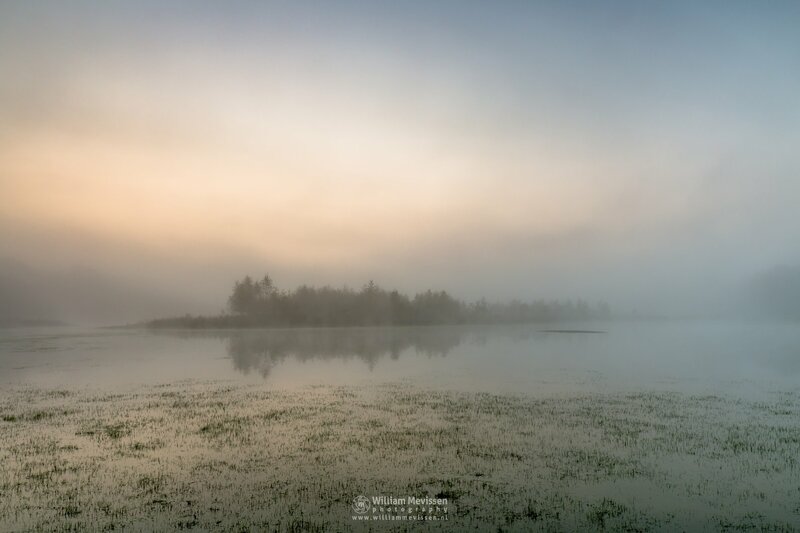 Click here for more information about photo 'Misty Morning Mood'. 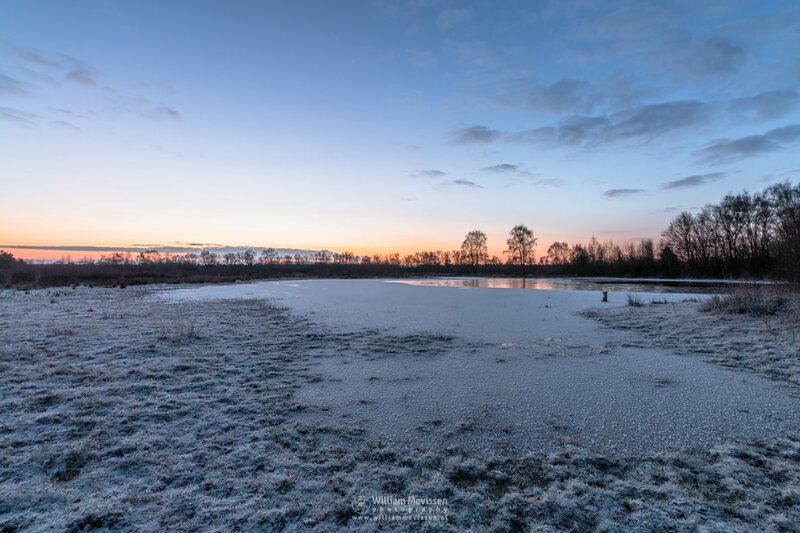 Fen Rondven under a tiny layer of snow and ice before sunrise in nature reserve Bergerheide, part of National Park De Maasduinen (Nieuw Bergen, Noord-Limburg, Netherlands). Click here for more information about photo 'Rondven'. Grasses and nature around sunrise on a beautiful misty summer morning at estate Landgoed de Hamert, part of National Park De Maasduinen (Wellerlooi, Netherlands). Click here for more information about photo 'Misty Sunrise Grasses'. Misty view through a Forest Window before sunrise at estate Landgoed Geijsteren (Geijsteren, Noord-Limburg, Netherlands). Click here for more information about photo 'Misty Forest Window'. Click here for more information about 'Landgoed Geijsteren'.